This isn’t my first time going through Neil Gaiman’s latest novel, The Ocean at the End of the Lane, but it was the first time I had the chance to listen in audiobook form. Neil Gaiman read it himself, and the book grabbed me with far more magic than my first read. His narrative came out far better then on the written page. If you have the chance to listen to his reading, it’s worth it. Like listening to a glimpse into his mind, a candid glimpse into a life long forgotten. The quote above is the line that most captures the novel for me. The book begins in the narrative of a depressed, tired, middle-aged man, just rustling his way through life, until he reaches his hometown and sees the old duckpond… Or no, it was the “ocean,” as his childhood friend used to call it. And then the story, the narrative shifts to his childhood, as his memories come rushing back in. It feels like you’re privy to a secret window into the mind of a child’s true thoughts and intentions. Like impeccably realized young adult fiction. But then again the book fools you. It pulls you into a twisting, winding, Wonderland/Narnia-esque plot that literally comes out of nowhere. The first time I read the book I really didn’t like the twist, but knowing it was coming this time around I was ready for the radical change in pace. But the one thing you really need to understand to get into this book and love it is that this really isn’t a children’s book. It gets incredibly dark. This is the story of a young 7-year old boy who knew and saw far-too-much for his own well-being. The hidden magical world he creates feels more like an inter-dimensional construction than anything, but even then he doesn’t give much away about the nature of the other worlds. Only enough so that a 7-year old could survive successfully, and safely. And that’s where the true “magic” of the book lies, I think. The fact that Gaiman could create a whole other realm of existence, not explain any of it, leave you wanting more, and have you still feeling satisfied after the dosage, is a gift not many have. This book is notable for starting out as a short story, which then expanded its way into a short novel. And unfortunately, you can totally see where that shift takes place (where the twist in the plot is concerned). But despite the two very different worlds he has collide together, I’m glad they did, because had he not turned this into a novel, I’d have never read it. This is my first read from Neil Gaiman, although I’ve known of his works for some time. As a Whovian myself, I and many others have a love/hate relationship with his work. If I had to dig out something unfortunate about my read it would have to be about the length. It is a short, short read. At 54,000 words and less than 6 hours of audiobook, it was over terribly quick. My average read is 4-5x longer. Regardless, it’s a wonderful little read, and one I won’t quickly forget. Neverwhere is just fantastic book. Ocean at the end of the Lane I do like but I don’t know if I missed the author so much and that might have affected my judgment krrrhm. Great review! Ocean is one of his weakest novels, which isn’t much of a criticism– his earlier stuff is just so much better. Neverwhere is perfect for Whovians, and American Gods followed by Anansi Boys is brilliant. He’s one of the few authors who can get away with narrating his own books. I did Graveyard Book by audiobook on a long road trip and I enjoyed it immensely! Like previous commenters, I definitely recommend American Gods. I have the 10-year anniversary audiobook, which is read by several people. Occasionally Gaiman joins in on certain passages, so that’s awesome. Neverwhere, however, still remains my favorite Gaiman novel. I did love Ocean at the End of the Lane, though, it made me reminisce, and his description of food had me even making my own version of his rolled-up pancakes! I reviewed this book as well, and what I found fascinating is, how a child compensates with his imagination real life issues going on in his family. I heard that there is a lot of Autobiographical bits in the story. American Gods is fantastic and I recommend it unreservedly. Gaiman has craft and a unique voice that’s probably a big part of his appeal. I’m going to check this out. 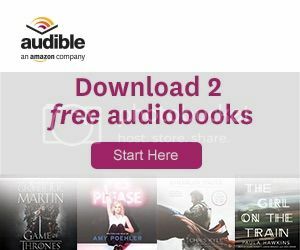 I can’t get into audio books. I think i get distracted easily and will do other things instead of listening. I’m adding this to my list. Yes, I have heard many people say that they are not fond of his work. If you like his style, you’ll LOVE his work. And personally I listen to audiobooks on the road/at work (I work alone in a repetitious position) so it’s convenient. I prefer to listen while reading if I have the option/funds.